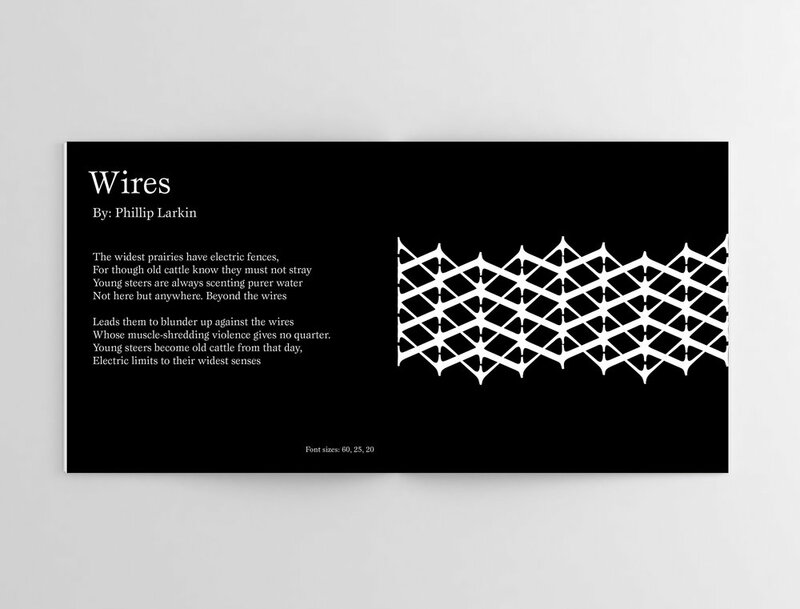 A type specimen book was designed, illustrated, and printed for ITC Esprit. With 8 different weights, this typeface is extremely versatile and full of elegant character. 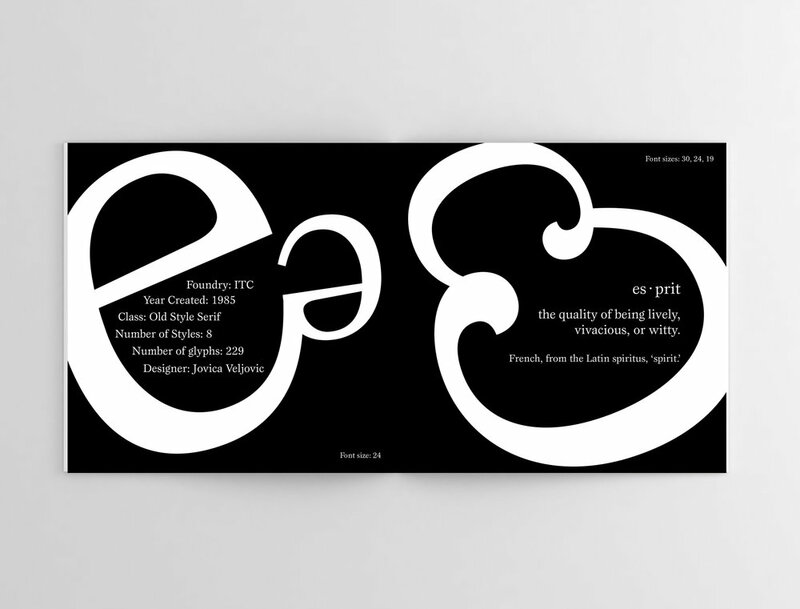 A black and white color palette was chosen to emphasis the form and structure of each letter in the font family. Featured below are the front cover, spreads, and back cover of this specimen. 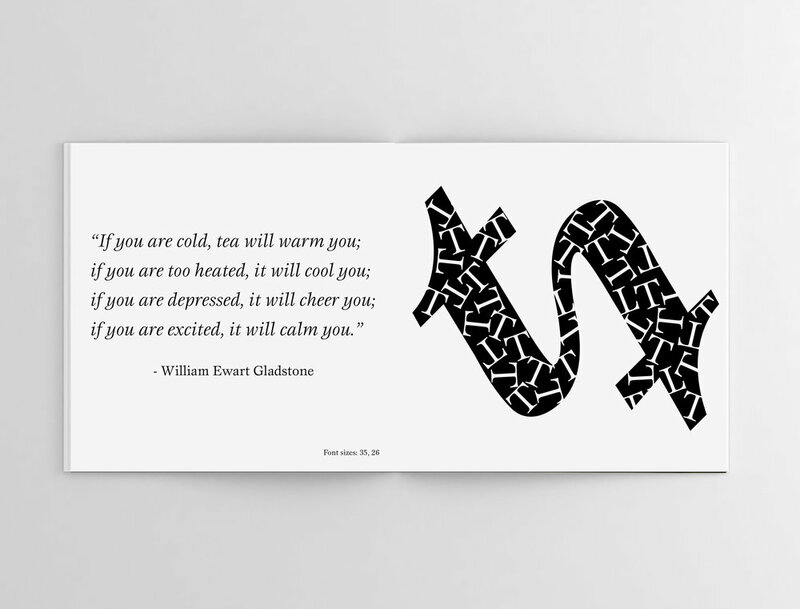 An illustration using only characters of ITC Esprit was created to compliment a particular poem.